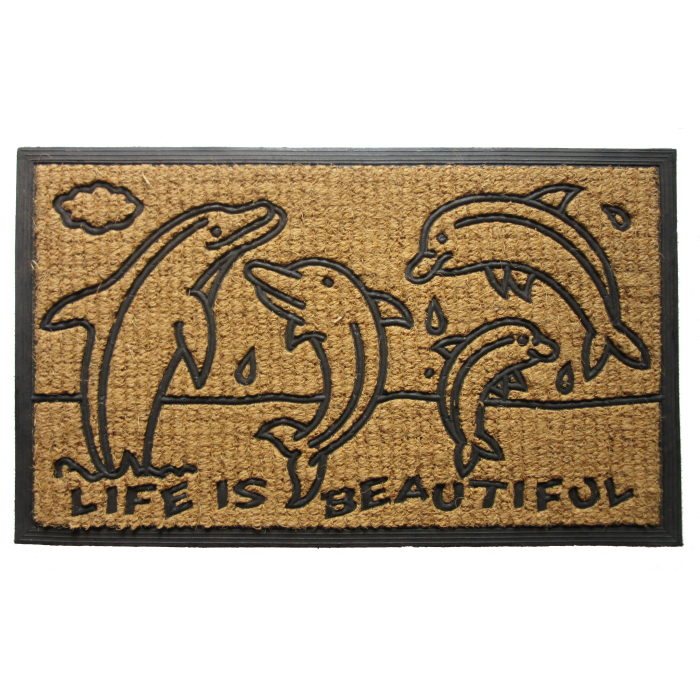 This coastal doormat says, "Life is Beautiful." 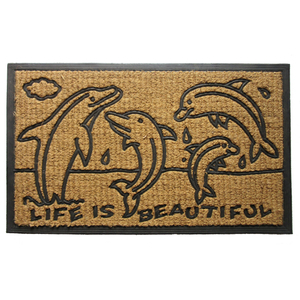 Constructed from durable coir/ rubber, this doormat features a happy family of four dolphins. This coastal doormat is a perfect welcoming into your home!